A solar panel installation at FPL's Martin County Next Generation hybrid natural gas and solar energy plant. The only way to get solar panels installed on your roof is to call an independent contractor. A Miami-based company called Mr. Solar is keeping busy installing more solar energy for homeowners and businesses, says CEO Brian Gillis. “Their goal is to reduce their electric bill and do it in a manner that is cost effective,” says Gillis. Mr. Solar team installs pool-heating panels on the roof of a Miami house. Gillis says business could be better, though, if the state and the utilities were more involved with solar energy. Florida doesn’t have many policies in place to make solar energy happen on a large scale. In 2006, the state started a rebate program for installing solar panels, but ended it when it became too popular. In this year’s legislative session, the state scrapped the program off the books entirely. Some people were still waiting for their rebates when the program ended. Florida Power and Light still offers some rebate programs, but the wait list is long and the funds are limited. Buck Martinez, director of FPL’s Office of Clean Energy, says Florida is doing solar energy the best way it can right now. Martinez also says despite it being the Sunshine State, Florida’s climate also poses a challenge. Some solar energy advocates say FPL could get around the rain and clouds by building solar plants across the state to grab energy from a sunny area while it’s cloudy in another. James Fenton researches solar energy at the University of Central Florida in Orlando. He argues solar energy is not only possible in Florida, but it’s not as expensive as most people think. Solar energy is being used at the utilities level around the world now, bringing down the cost. Also, the technology is getting better, making solar power easier to use. Meanwhile, fossil fuels are getting more expensive. Gillis says most people don’t know solar energy is getting cheaper. He even goes to schools to teach children about solar energy. Selima Hussain contributed to this report. This story came from our What’s the Story? blog, where we answer audience questions about South Florida. An energy bill that is nearing passage in the Florida Legislature would strike an old solar rebate program from the books. The program was more popular than expected, and when it ended in 2010, thousands of rebate holders hadn’t received all of the money they were due. Agriculture Commissioner Adam Putnam has recommended that lawmakers clean up state statutes by eliminating the rebate program. Since the program has ended, he says it's no longer needed on the books. Hundreds of miles of proposed pipeline may begin pumping natural gas between Southwest Alabama and Martin County, Florida within four years if Florida Power and Light (FPL) gets the okay from state regulators. 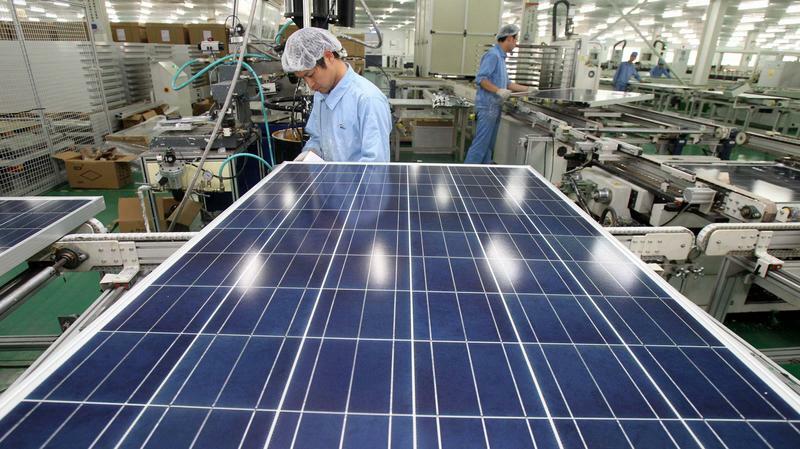 The solar energy business is growing quickly, but future growth will not include oil giant BP. At the IHS CERAWeek energy conference in Houston, BP's CEO made it clear the company is done with solar. "We have thrown in the towel on solar," Bob Dudley said after delivering a wide-ranging speech Wednesday. "Not that solar energy isn't a viable energy source, but we worked at it for 35 years, and we really never made money," he added.